With Redbook audio – 16 bit, 44.1KHz – 44 100 audio slices are processed every second. Each slice has its own unique (16 bit) value: anything from 0 to 65536, expressed in binary (ones and zeroes). This binary value is converted to a voltage by the DAC and then sent on its merry way down the audio chain to the amplifier. However, digital audio isn’t just a set-it-and-forget-it tale of ones and zeroes. There is the signal (e.g. 1011 0111) and signal timing. The timing of those ones and zeroes matters. If a one or zero (a data bit) arrives late, the voltage conversion will occur late…and we have jitter. Jitter is a timing error; it can be introduced at various stages in our digital audio chain. Noisy power supplies, EMI and RFI can cause jitter within computer transports. This is called deterministic jitter. The 2010 MacMini is considered by the geeks as a superior transport to the standard MacBook or iMac: it contains no (noisy) LCD screen power supply and is possibly why many audiophiles believe the MacMini to be the best subjective-sounding computer transport presently available. Your DAC’s own data clock isn’t perfect. It can introduce intrinsic jitter. This is more common with DACs or USB converters that contain only one crystal oscillator. For example, inside the Musical Fidelity V-Link is a single oscillator (48KHz family) from which a 44.1Khz clock must be synthesised. The synthesis process isn’t 100% accurate – errors are made – and so we have ourselves some intrinsic jitter. Oh dear. 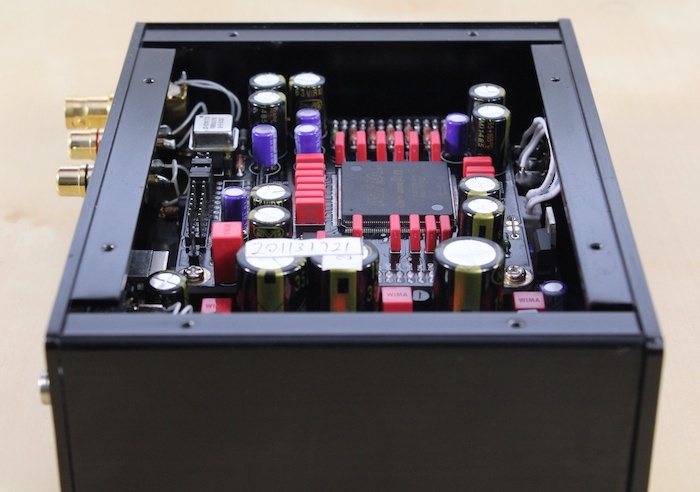 (Ideally, one should look for two crystal clocks inside a DAC or USB converter). Next-up: interface jitter is a game of master and servant. With adaptive USB implementations, the DAC is slaved to the computer. The computer determines when the data bits are sent – not a good idea (see intrinsic jitter above). Asynchronous USB implementations see roles reversed: the computer is slaved to the DAC. The decoding box is charged with the timing (and not the computer). In theory, asynchronous transfer minimises interface jitter. Yet, I know from extensive listening experience that a good adaptive implementation can sound better than a poor asynchronous one. Asynchronous USB helps mitigate jitter (sure) but it is not the silver bullet. Implementations matter. Lastly, line-induced jitter can be the direct result of using a crappy USB or coaxial cable. Cable skeptics will likely feel their hackles rising at this point – sorry guys. Consider a photograph. It’s ever-so slightly soft (out of focus) and colours are a little washed out. It’s also a touch under exposed. That might be a good way to explain what jitter ‘looks like’. However, we’re interested in sound. What does jitter soundlike? For me, jitter adds rigidity. It causes confusion with soundstage placement. Jitter grits transients with a metallic edge. That iron filings sound is often referred to as “digititus”. Jitter also renders music as lifeless and lacking depth and focus. The quality of digital audio sources has come along way in 2011. Twelve months ago, a good CD transport would easily embarrass a computer or Squeezebox/Sonos feeding the same DAC. The CD transport would bring less jitter to the party. However, the times they are a changin’. Audio manufacturers are seeking to improve computer transports with USB convertors: a device that sits between computer and DAC that seeks to reduce jitter through signal re-clocking and/or minimising electrical noise in the signal path. Input is usually USB and output is S/PDIF. 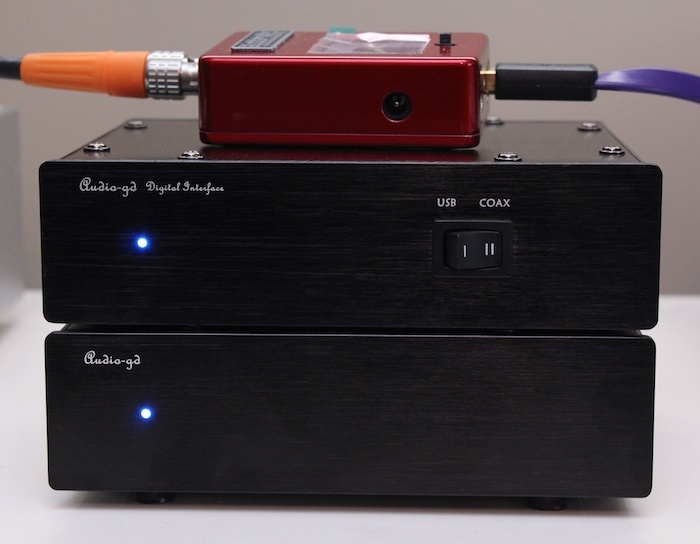 To utilise one of these devices, you’ll need a S/PDIF input on your DAC. 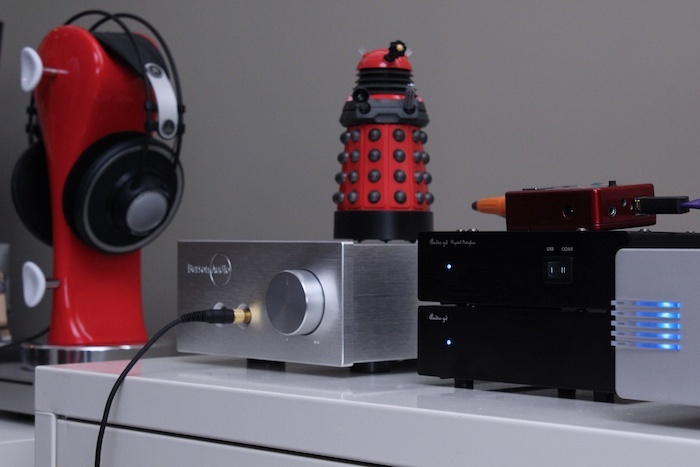 If you have a USB-only DAC, you’re stuck with the quality – or maybe lack thereof (!) – of its own USB implementation. Want a better sound? You’ll need to buy a new DAC. Many of these USB converters offer asynchronous data handling: M2Tech Hiface, (the aforementioned) Musical Fidelity V-Link, The MHDT USBridge, Audiophilleo 1 and 2 etc. Some require the installation of custom drivers and some do not. Some can handle up to 24/192, some top out at 24/96. Personally, data handling capabilities come well down my USB convertor shopping list. I’d rather have superb Redbook sound (and miss out on hi-res) than an average sounding, hi-res capable box. 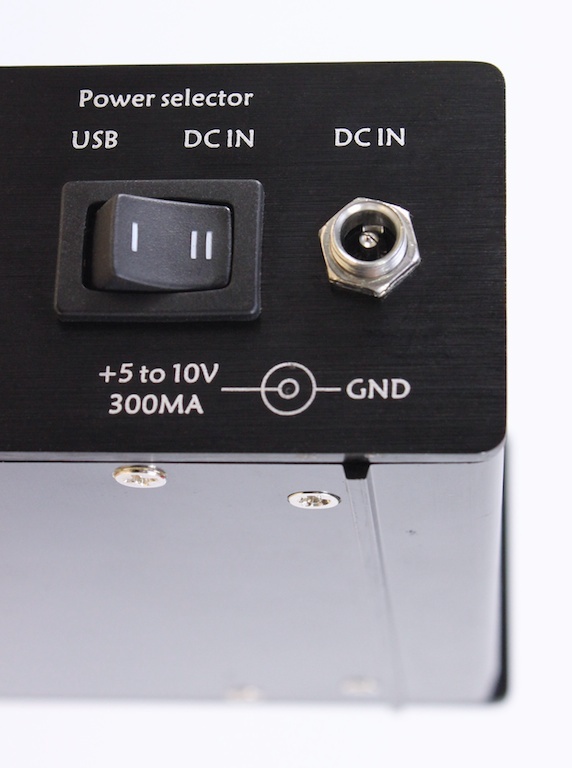 If you wish to peruse the many varied specifications of a whole range of USB converters, Audiophilleo offer a comprehensive comparison matrix on their website. 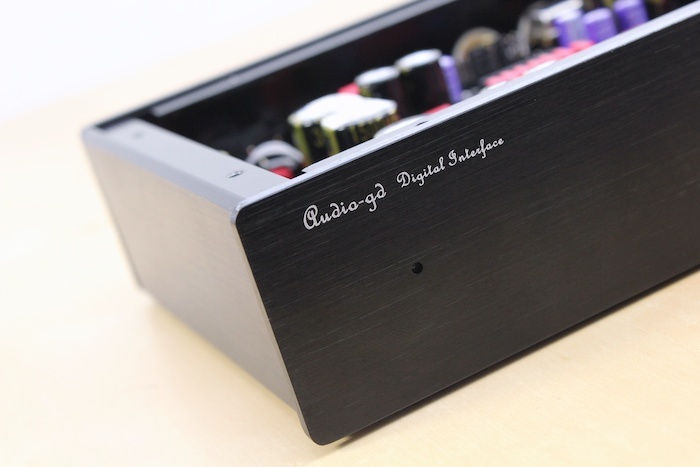 One device not listed on the Audiophilleo site is the Audio-gd Digital Interface. Despite being launched in 2010, its Chinese manufacturing origins keep it away from the mainstream radar. At US$140 (Version B), it runs at the cheaper end of this sub-market, right up against M2Tech’s Hiface. In a cheeky nod to the competition, earlier (pre-)production models of the Digital Interface were labelled “USBFace”. 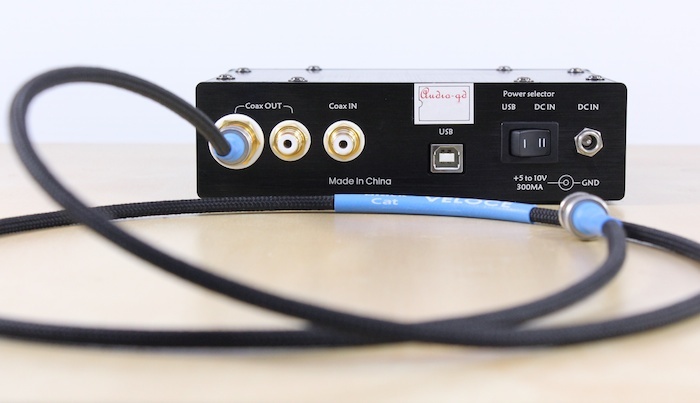 My review unit – Version A (US$190) – adds a S/PDIF input. 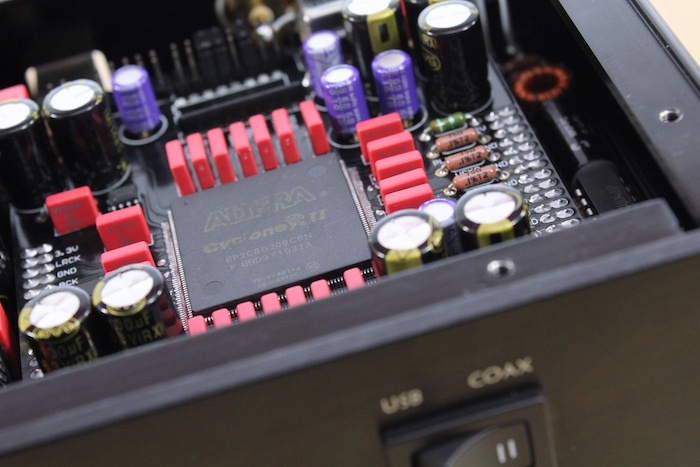 Mr Audio-gd – “Kingwa” – offers an optional (Class A) power supply for US$75. 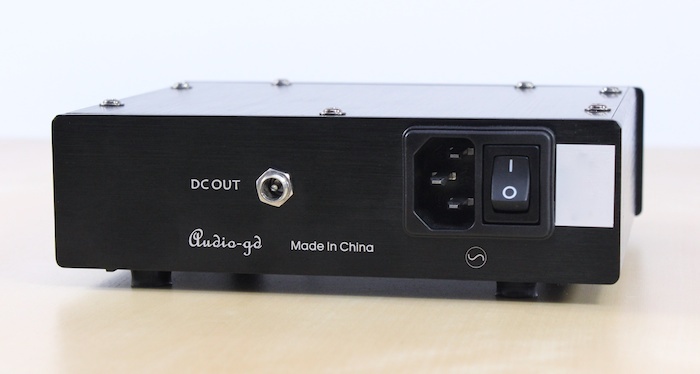 “The Digital Interface can work well by USB power supply, the external power supply only for upgrade, not necessary”, says the Audio-gd website. Much of the asynchronous magic of the Hiface is exacted by its (custom) operating system driver. Any generalisations from the asynchronous-or-die brigade should be taken with a dose of salt: such drivers might provide a superior connection between hardware and software, but they aren’t the be-all and end-all. 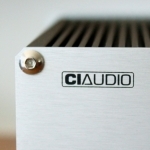 The Audiophilleo1 requires no driver and is a leader in its product class. In the case of M2Tech, the lack of (promised) Linux drivers can be a source of frustration for some. No custom drivers are required for the Audio-gd device; the DI is Linux compatible. Given the recent shift of focus towards OS X desktop players (Fidelia, decibel, Audirvana), Linux barely gets the recognition it deserves as an audiophile-focussed operating system — a shame. Linux running Music Player Daemon (MPD) is pretty darn good. Just ask the guys at Aurailiti. Whilst the developers of both Audirvana and Fidelia sort out their software glitches and library management quirks, I’ve switched to MPD on OS X. The DI presents itself to OS X Snow Leopard as “TE7022 w/ SPDIF”. The chip is the Tenor TE7022. The very same as found in the Teralink X-2…whose adaptive data handling runs contrary to the DI’s web-page copy: “Digital Interface applied asynchronous process”. What gives, Kingwa? The TE7022 has a single clock that oscillates at 12Mhz. 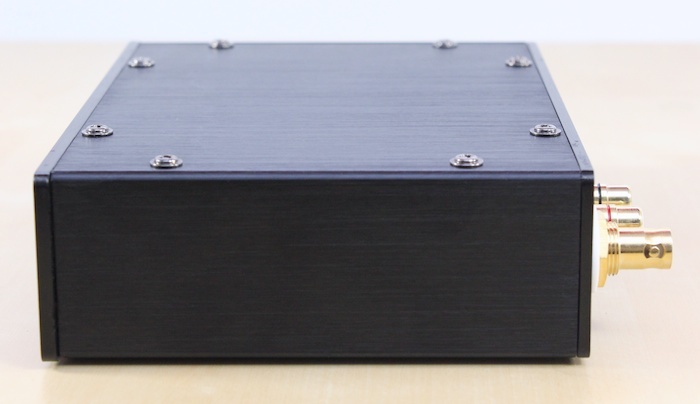 Because of their direct mathematical relationship (4 x 12 = 48, 8 x 12 = 96), 48KHz and 98KHz sample rated material is ‘native’ to the DI’s clock – the Audio-gd box can handle up to 24/96. However, if Audirvana is to be believed, the DI can’t deal 88.2KHz material. 44.1KHz files play fine! Kingwa has chosen not to follow the competition in licensing Gordon Rankin’s asynchronous technology. He has chosen a different and unique path: the use of DSP to re-clock the data stream and kick jitter to the curb. Does Kingwa’s reference to ‘asynchronous’ suggest that the DSP-3 slaves the Tenor receiver chip and resamples the data stream? I’m not sure. As an aside, the Alterra Cyclone II chip that handles this DSP is user-configurable (via jumpers) so that upsampling to 96KHz or 192KHz can be ‘forced’. Some words on build quality. Both boxes are of identical dimensions and sufficiently sturdy. Some rubber feet would’ve been nice – I added my own and placed some blu-tak between the DI and its PSU. 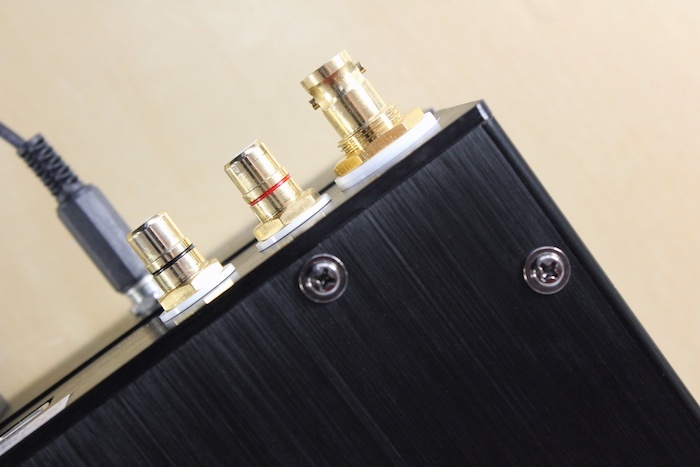 On the rear there are two inputs – USB and coax as – well as two outputs – BNC and coax. There’s a selector switch for power source on the rear and another to choose between USB or coax data source on the front. Both boxes are a triumph of function over form, their aesthetics nondescript. Trophy hifi this is not. A false start. Connecting DI to the Gatorized Beresford Caiman, no communication link could be mustered. Was the DI not shouting loud enough? Or was the Brit DAC hard of hearing? No mind – the Anedio D1 picks up on what the DI is laying down. Bit/sample-rate handling aside, I’d not heard much to separate S/PDIF from USB on the Anedio D1 DAC. Feeding Redbook audio from MacMini to USB or Squeezebox Touch to S/PDIF has hitherto resulted in much the same sonic result. Rather than adding the Audio-gd DI to the mix and then commenting, I lived with it for several months and then, suddenly, one morning, took it away. This process was repeated with the Pro-ject DAC Box USB. Back-flipping from Audio-gd DI (+ PSU) to direct routing between MacMini and Anedio, we lose a substantial chunk of instrumental body (more skeletal) and tonal colours are diluted. A coin-in-the-mouth taste creeps into the mix. Without DI intermediation, music sounds thinner and lacks vitality. Soundstaging is wider and inner-detail retrieval more impressive with the DI in situ. It’s a reviewer’s prerogative to emphasise such improvements, so keep in mind that these changes will run closer to ‘subtle’ (than ‘noticeable’) for many listeners. Some context: the DI’s amelioration is more obvious than that of a linear power supply added to a Squeezebox. From such results one might surmise that the Anedio’s USB implementation isn’t as good as it can be. The Anedio is not alone in this regard. I concluded similarly with Pro-ject’s DAC Box USB. Feeding the Pro-ject direct to (adaptive) USB sounded inferior to having the DI first convert USB to S/PDIF and then feed the Pro-ject. The Audio-gd DI’s USB recipe is adaptive. Ditto Pro-ject and Anedio. Does this imply the DI’s USB implementation is simply better than that of each DAC? Does this open the door for asynchronous crusaders to unfurl the “I told you so” flag? Of course not. 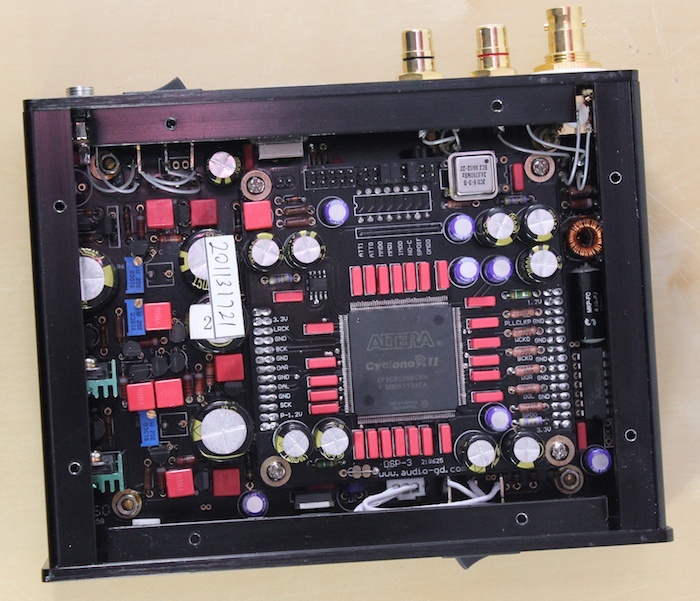 The DI lifts the performance of each DAC despite its adaptive receiver chip. Cool. 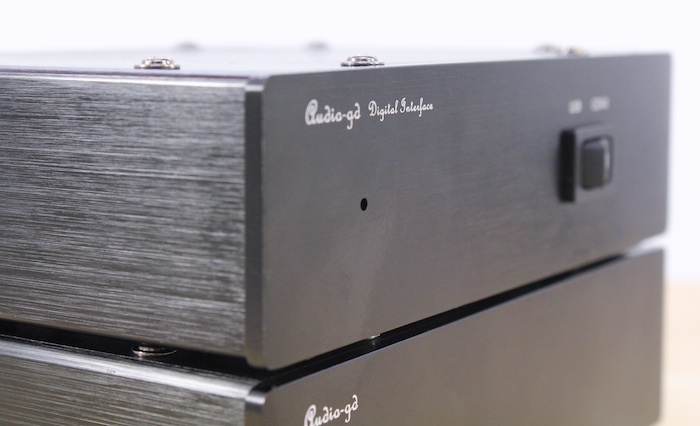 The Digital Interface was compared to the Audiophilleo1 (US$895). The latter’s polished-window clarity marks it out immediately as the superior sounding of the two. The DI can sound a shade sluggish (and bass-burdened) next to the Audiophilleo1. 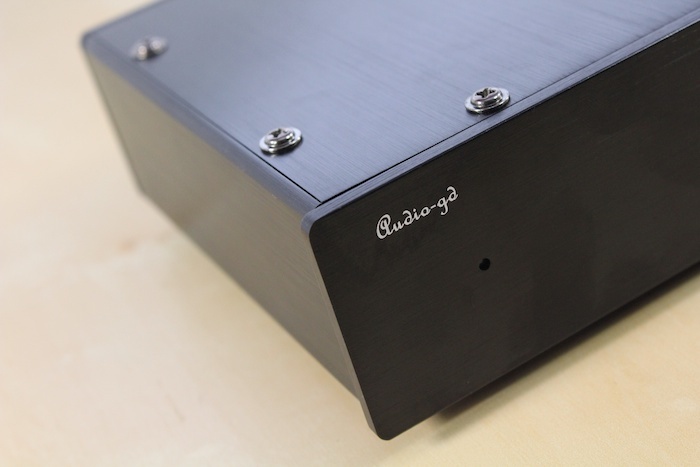 The feature-trimmed Audiophilleo2 (US$579) will still run you thrice the cost of the Audio-gd box. Trading on sonic memory, the DI isn’t as smooth or as ‘analogue’ sounding as the John Kenny-modded Hiface. The DI is drier. 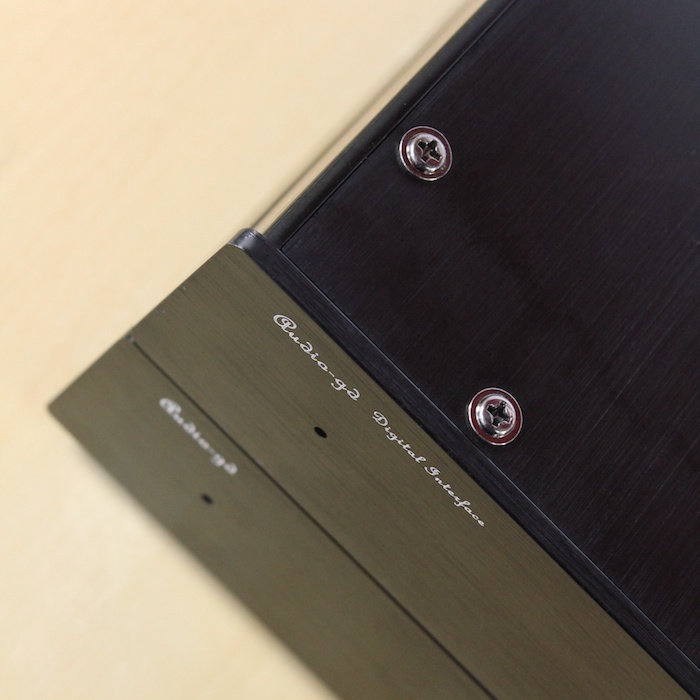 Even with power supply attached, the improvements brought by the Audio-gd box aren’t as pronounced as either of the aforementioned (more expensive) rivals. 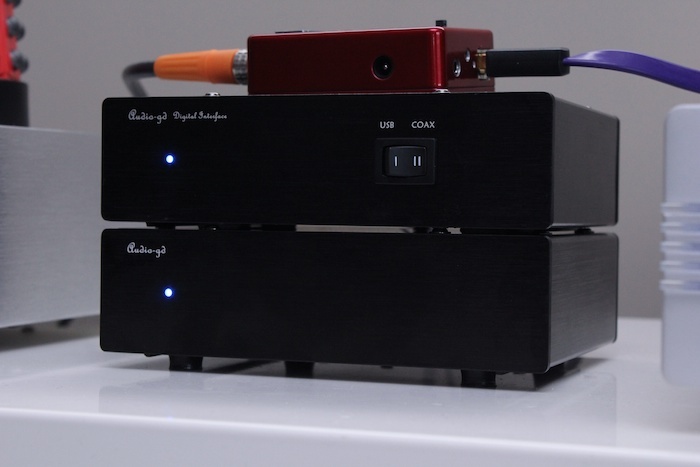 Neither would one expect them to be: the Audiophilleo and Hiface each sport 44.1KHz and 48KHz oscillators and definiteasynchronous USB handling. 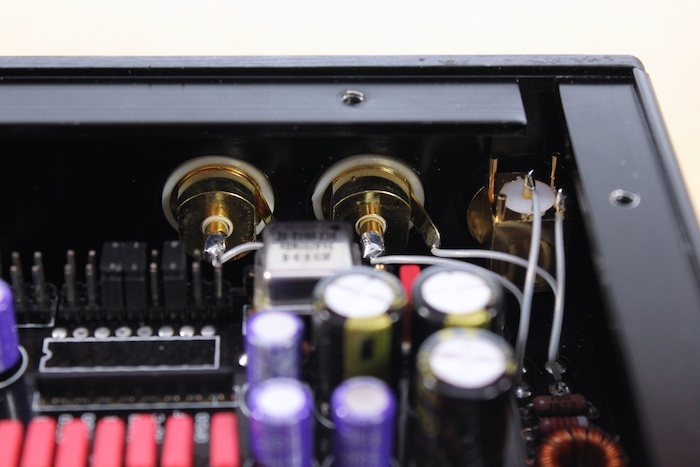 John Kenny’s modded Hiface packs in battery fuel tanks and the Audiophilleo device works some power supply trickery, upon which I won’t expand here as the Audiophilleo2 is soon to be reviewed on these pages. However, Audio-gd’s DI is sufficiently relaxed – backwards in coming forwards – and neutral (uncoloured). Music is less rigid, more nimble, less fatiguing, smoother. 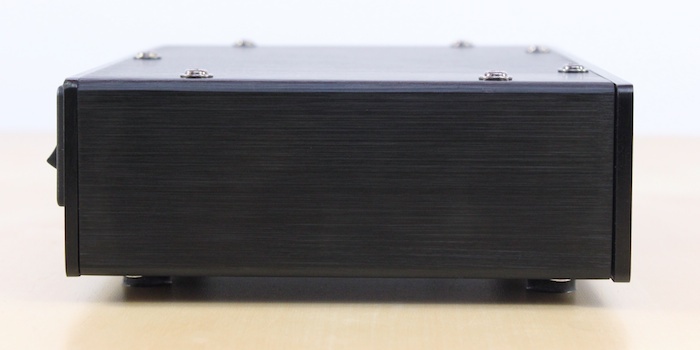 This black box allows music to relinquish some digital ‘tension’. I didn’t notice any significant improvement in adding the external PSU, nor did I notice any performance hit when I removed it. The stock standard unit seems to do most of the heavy lifting…but hey, US$75 for those that ‘must have’ isn’t so bad. I count myself in their number. We should be thankful that Audio-gd didn’t think to power its USB converter with a switch-mode PSU (a la Firestone Audio Bravo). 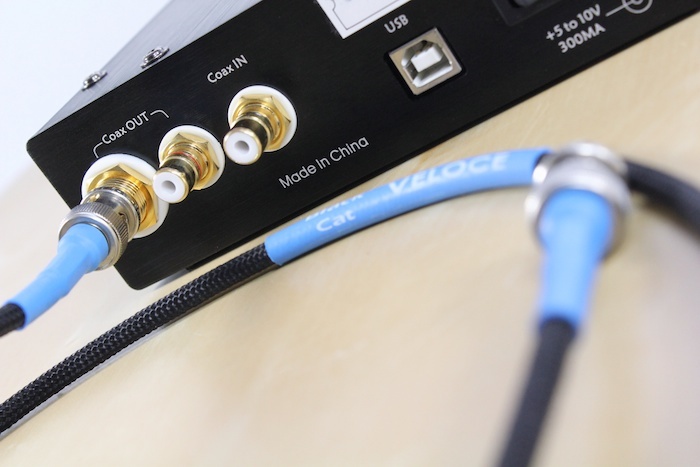 I’ve hitherto avoided mentioning the Digital Interface’s trump card: S/PDIF input (+US$50). Users of Squeezeboxen, Sonos and (mid-fi) CD players can reap the benefits of this digital re-clocker. High-end CD transports probably need not apply. The improvements with the Anedio D1 (detailed above) apply equally to the Squeezebox Touch as transport: one just hears music as more supple and natural. It flows with greater ease. The S/PDIF input can also resolve up to 24/192. 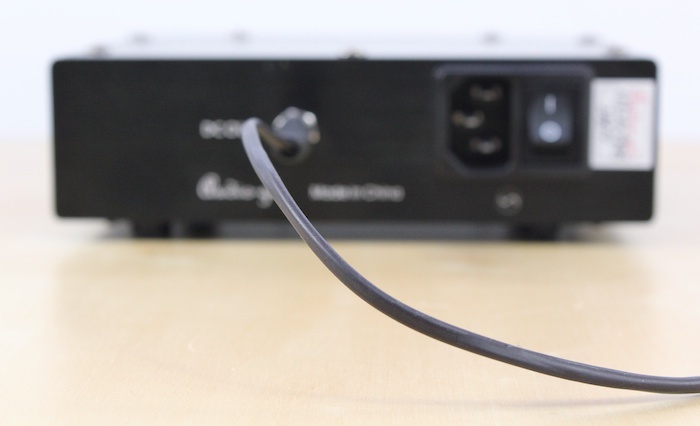 Some thought will need to be given to how the DI is powered if using it with a streaming device or CD player; when going coax-in-coax-out, USB power is possible, but the optional PSU is a tidier solution. 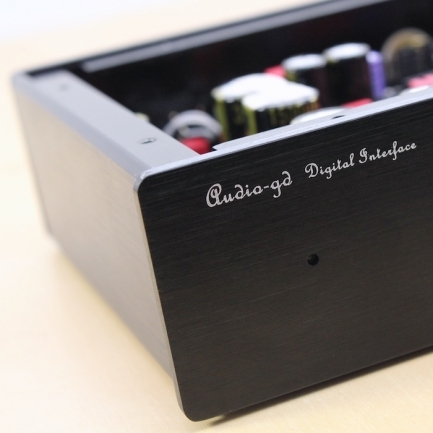 With both USB and S/PDIF inputs, the Audio-gd Digital Interface can play host to many varied transports and improve the sound of nearly all of them, presumably by jitter mitigation and power-supply ‘bleaching’. 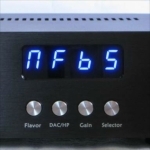 I recently took some heat from Messrs Hansen and Rankin for suggesting digital audio newcomers should stick to S/PDIF-capable DACs. It is precisely because of products such as the Audio-gd DI that I make this assertion. 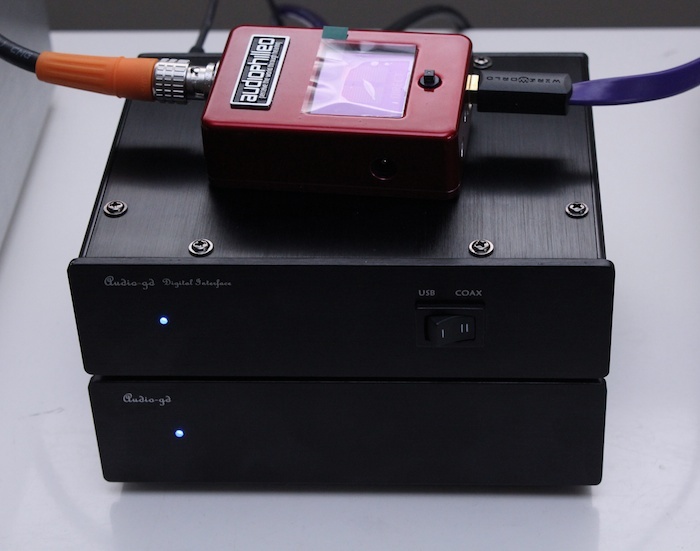 Many budget DACs – for whatever reason – aren’t as jitter-resilient as they could be. And that’s fine…because the DI is here to make healthy the diet fed to the DAC. 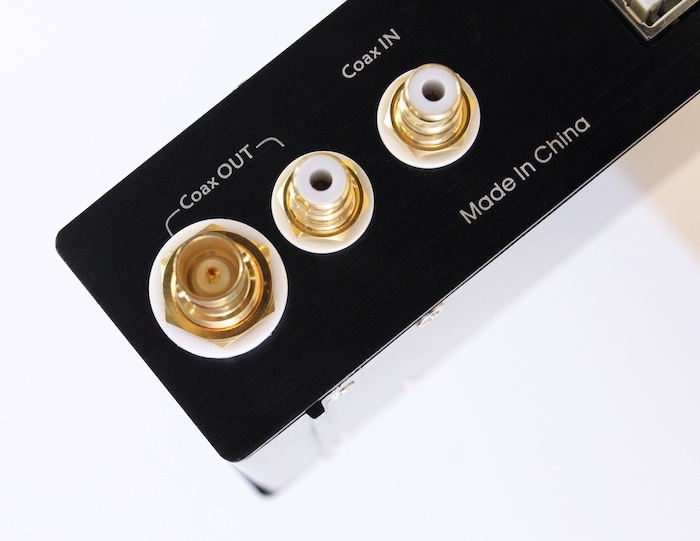 Until DAC manufacturers can pull the DI’s anti-jitter trickery inside their own products, there will always be a market for boxes such as this. Even the man himself admits that what’s inside the DI is better than the USB implementation of the (discontinued in 2010) Reference 7 DAC. I don’t know what the DSP-3 does to the datastream but I do know that music is more enjoyable with the Audio-gd Digital Interface in the chain. These improvements might be considered tweaks by some. Think of the DI as a way of removing the MSG from your aural diet. As a USB convertor, there are better (more expensive) units available. As a S/PDIF re-clocker for the Squeezebox, the DI is near-essential. Nice work Kingwa.